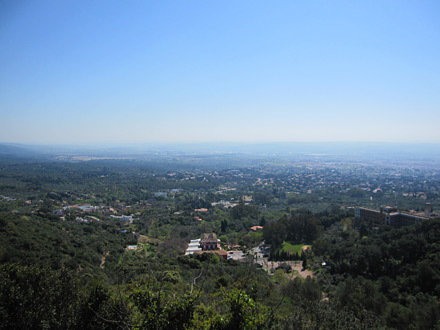 Here we go with a first status report from Córdoba, Spain. Unfortunately I have very limited access to the internet, so expect only brief posts and tweets during the next days. After arriving in Malaga around midday, I picked up the Wilderness Tarpon 100 in a small tackle shop in Salobreña in the evening. Late at night and with almost 500km by car under my belt, I arrived in Córdoba and received a really warm welcome by my spanish friends. On wednesday it was time for some kayak practice. It only took a few minutes to get into it and fortunately the Tarpon 100 turns out to be a great and versatile watercraft. 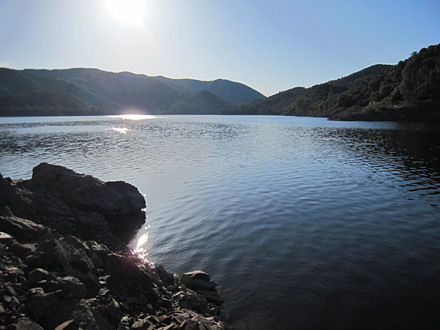 In terms of fishing I missed out on two strikes on a Gaucho+, but this couldn’t temper the delight of temperatures of 26°C, pure sunshine and the peaceful and quiet atmosphere at Embalse de San Rafael de Navallana. 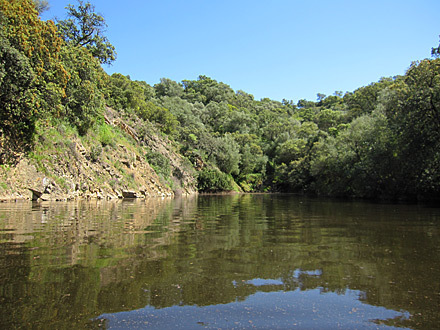 Thursday marked a first “non-topwater-day”, which I used to explore some banks of Embalse del Guadalmellato up in the hills. 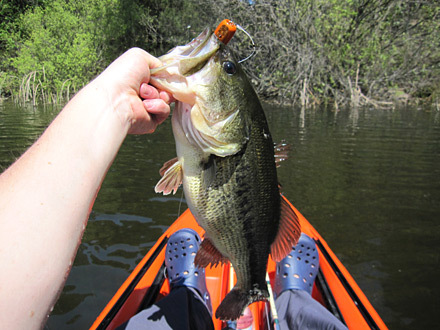 In the evening hours I caught three good bass, while the best one had 50cm and 5lb. At all I discovered some interesting places and spots and I’m looking forward to explore them by kayak early next week. 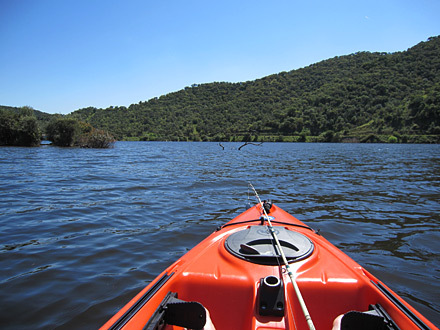 Yesterday I made the adventurous trip to Embalse de La Encantada, Las Jaras. Again I had to deal with bad roads and dangerous hills, but the view from the top and the amazing reservoir made up for it. Just after 10 minutes I caught the first topwater bass of the trip. A sheer beauty of around 5lb who provide a trilling fight in-between rocks and heavy cover. 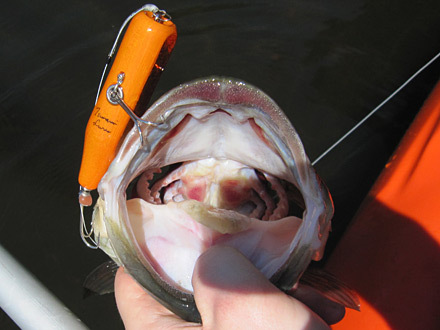 Again it was the Gaucho+ by Tsunami Lures who lured the fish away from their hiding spot and I also had a few strikes on a white Bumbinho and a handful of other topwater plugs. And that’s really about it (for today). More pictures and updates to come..
I’m happy that my lures look playing an active part. the Gaucho+ is already one of my favourites. Almost 80% of all strikes I get on this fine topwater plug. 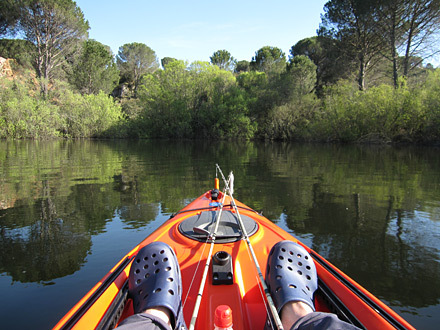 Tomorrow I’ll have another kayak fishing trip to Laz Jaraz. Let’s see if it will be as exciting as the last one. The Kayak looks like real fun! Thank you for the report! 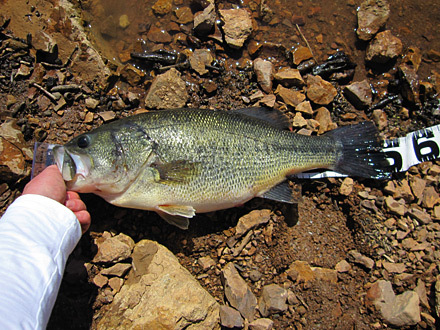 Nice Bass!